Visit the HIKU Brands Investor Dashboard and stay up to date with data-driven, fact based due diligence for active traders and investors. 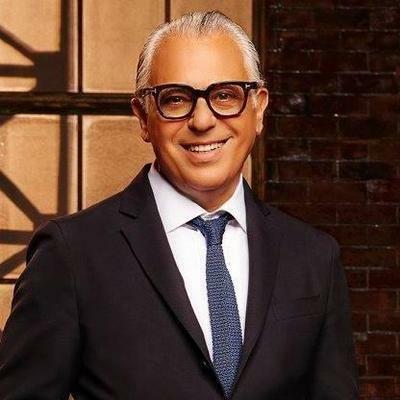 TORONTO, March 21, 2018 /CNW/ – Hiku Brands Company Ltd. (“Hiku” or the “Company”) (CSE:HIKU), Canada’s first vertically-integrated cannabis brand house, is pleased to announce Joe Mimran (Dragons’ Den, Joe Fresh, Club Monaco) as the first appointment to its newly-formed Board of Advisors, Lacey Norton (lululemon, Kit and Ace) as Vice President of Retail and Will Stewart (Navigator) as Vice President, Corporate Communications and Public Affairs. These additions to the team bring significant expertise in retail, branding, government relations and communications, and further deepen the roster of strong leadership at the Company. As Hiku continues to rapidly scale for growth, it’s crucial we leverage experts to execute our mandate and priorities – adding Joe, Lacey and Will to our team gives us invaluable experience and boosts our experience in key areas. The talent we’ve assembled at Hiku sets us apart in the industry, and shows we’re highly prepared to achieve our aggressive retail and brand plans. With legalization quickly approaching, Hiku has focused on adding new team members with demonstrable expertise in scaling retail, developing iconic consumer brands and navigating highly regulated industries. This industry-leading team will bolster Hiku’s goal of building a portfolio of visionary lifestyle cannabis brands, and national footprint of retail locations focused on providing an exceptional consumer experience. I believe that Hiku will continue to be a leader in the Canadian cannabis sector and I am very excited to bring my communications and lobbying skills to this exceptional leadership team. Cannabis in Canada will be a highly regulated industry and I look forward to sharing our vision of the sector with federal, provincial, and municipal governments across Canada as they work to create legal solutions for their citizens. The Company is also in the midst of finalizing a new Board of Advisors that combines expert leadership in retail, finance, cannabis and branding. The first such appointment is Canadian retail maven Joe Mimran. Mr. Mimran, a fashion designer and entrepreneur, has launched and ran numerous iconic fashion brands including Club Monaco and Joe Fresh. I strongly believe that Hiku will be the market leader in recreational cannabis, at the critical intersection of brand and retail. Their focus on quality and customer experience matched with a keen eye for aesthetic has long been the hallmark of successful retail in Canada. 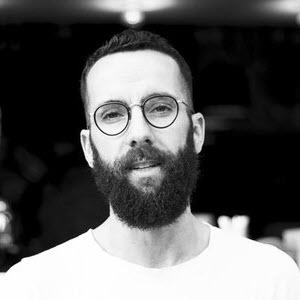 Joe is among Canada’s leading fashion pioneers, known for founding and building industry-defining brands including Joe Fresh, Club Monaco, Alfred Sung and Caban. With an intuitive design vision and a keen business sense, Joe has been at the forefront of fashion and retail for over thirty years. Joe founded Club Monaco in 1985, which instantly became a cult brand that grew to over 150 stores around the world. In 1999, Club Monaco and Caban (it’s home products lifestyle concept) were purchased by Ralph Lauren, marking Ralph Lauren’s first-ever acquisition. In 2006, Joe created the Joe Fresh concept for Loblaws with a vision of well-designed, well-priced clothes for a broad audience, which quickly became Canada’s second largest apparel brand in dollars and units. It was launched in 40 supermarket locations and today, Joe Fresh is sold in over 350 Loblaw stores in Canada and abroad. Joe retired from his role as Creative Director of Joe Fresh and Loblaws General Merchandise in 2015. He currently stars on popular CBC show Dragons’ Den, and is Chairman of Gibraltar & Co Inc., a Toronto-based private investment company. Lacey Norton joins Hiku as Vice President of Retail, as the company embarks on an aggressive growth plan to open multiple retail locations across Canada.. Lacey’s experience at Kit and Ace as a founding team member of the luxury technical clothing brand, includes opening more than 50 locations across North America in just over two years. Prior to heading up North American retail at Kit and Ace, she spent 10 years with lululemon, helping grow the company from seven stores in 2005, to an global brand with a large international retail footprint. Lacey also headed up The Lab at lululemon, a customer-facing design and ideas incubator, a passion that has influenced her most recent role as an advisor to disruptive consumer brands in the retail space. Will Stewart joins Hiku as Vice-President, Corporate Communications & Public Affairs. 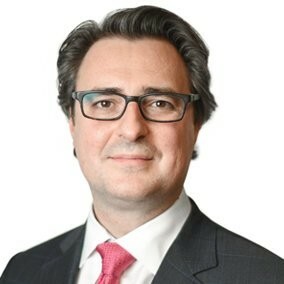 Stewart brings 20 years of experience to Hiku, having most recently served as Managing Principal of one of Canada’s leading high-stakes communications and lobbying consulting firms, earning the trust and respect of leaders in corporations, government and non-for-profit organizations as one of Canada’s leading public affairs advisors. Over the past few years, Will has developed significant expertise in Canada’s legal cannabis space, a heavily regulated sector with different legislative requirements in each jurisdiction, working with a variety of large ACMPR Licensed Producers and other leading companies in the sector. He is a regular speaker at industry events, the creator of polling and podcasts focused on cannabis, and has also been named as one of Canada’s top lobbyists for seven consecutive years under both the Federal Conservative and Liberal governments. Will was awarded the Queen’s Diamond Jubilee Medal for his contributions to Canadian Public Policy. Prior to his time as a consultant, he was Chief of Staff to an Ontario cabinet minister serving in portfolios in both ministries and legislative branches. The Company also announces that the board of directors has approved a stock option plan (“Option Plan”) and a restricted share unit plan (“RSU Plan”) and authorized a pool of up to 1,250,000 stock options (“Options”) and 500,000 restricted share units (“RSUs”) for future grants to directors, officers and employees of the Company. Any such future grants will be made in accordance with the terms of the Option Plan and the RSU Plan, respectively, and in compliance with applicable laws, including the policies of the Canadian Securities Exchange. The Option and RSU pools are intended to be used for future grants of Options or RSUs and, as at the date hereof, no Options or RSUs have been granted from the pools. The Company also announces that it has agreed to rescind its promise to issue an aggregate of 1,646,970 Options to an existing employee and has, in consideration for the rescission of such promise, granted the employee an aggregate of 1,646,970 RSUs pursuant to the RSU Plan. Each RSU will vest as set out in an RSU agreement entered into between the Company and the employee and, upon vesting, entitle the employee to one common share of the Company. Hiku’s wholly-owned subsidiary, DOJA Cannabis Ltd., is a federally licensed producer pursuant to the Access to Cannabis for Medical Purposes Regulation (the “ACMPR”), owning two production facilities in the heart of British Columbia’s Okanagan Valley. The company operates a network of retail stores selling coffee, clothing and curated accessories, across British Columbia, Alberta and Ontario. The most reliable, fact-based information on HIKU Brands found only on its Investor Dashboard.